Add a festive accent to a chair or bench with this decorative Christmas pillow. 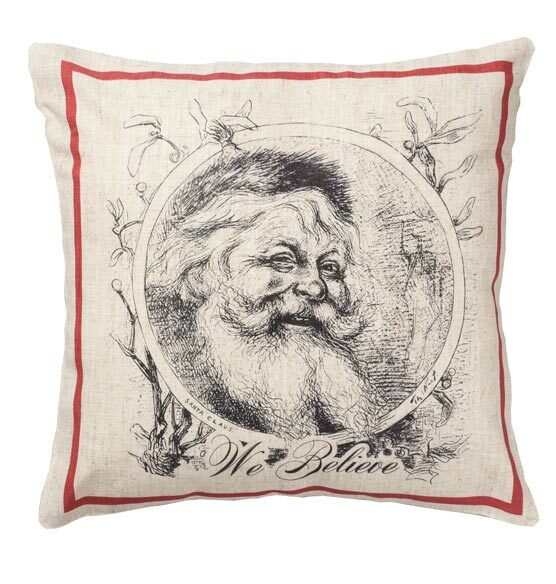 Custom designed exclusively for Exposures, this pillow captures the magic of the holiday season in a classic depiction of St. Nick himself. An attractive and practical holiday décor element, this durable linen pillow makes the perfect addition to your home, or a thoughtful holiday gift. Great gift item for my newly married daughter. Let the decorating begin!